I am not going to try to mention names for fear that I might forget someone, but this letter is long over due. THANK YOU to the whole team at the Park Nicollet Perinatal Clinic for providing me with the outstanding care in not only one twin pregnancy, but a second twin pregnancy. I was very happy to see everyone at my follow up appointment a few weeks ago. It is with mixed feelings that I write this thank you because I will miss seeing everyone dearly. The weekly appointments that became part of my routine were made enjoyable. You all made coming to the clinic often bearable, however, I know my journey with pregnancy has come to an end. More children are not in the plans (and really what are the chances for twins again?) and my family is complete. I feel that I owe this miracle of 4 to the team. 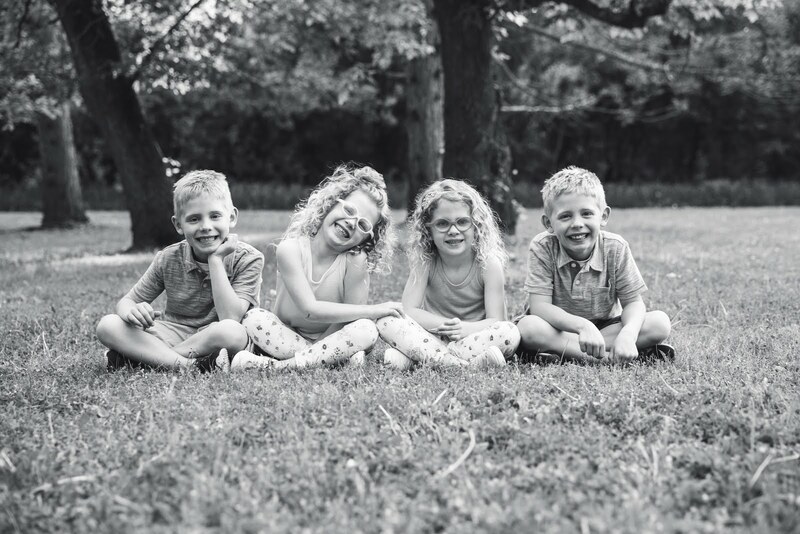 Two high risk pregnancies that had happy endings was the result of everyone diligently paying attention to my babies and creating a care plan that would take us to the end. I know that we would not be here without all of you. For the check in staff ~ Thanks for the reminder phone calls without giving me the long message since I had weekly appointments and knew the run down. Thanks for remembering my name and just checking me in so that I could sit down and not wait behind the person in front of me. Thanks for giving me a stamp on a post it because I had the knack of misplacing the parking ticket on the way in from the ramp to the office. It was nice to walk into the office and see your happy faces. You set the stage for a pleasant experience. For the schedulers ~ Thanks for dealing with my sometimes chaotic schedule. Making attempts to squeeze me in for an appointment. Given the amount of times I was coming to the clinic I didn't make it easy on you. For the radiology techs ~ Thanks for all the great pictures that I plan to scrapbook in their baby books. Thanks to the tech that reported we were having girls and celebrated that news along side of me in the absence of my husband. Thanks to the techs remembering that I liked the sponge under my legs and that long times on the back caused nausea. Thanks to the tech that "practiced" 3-D on the girls. Getting those pictures made the whole thing more real and I treasure those pictures. Thanks to all of you for being outstanding at what you do. Creating a calmness at sometimes stressful appointments and assuring me that my babies were doing great. For the nurses ~ Thanks for reminding me that I looked beautiful even when the number on the scale kept increasing and my ankles kept growing. Thanks for being a assuring voice on the other side of the phone when I had questions or concerns. Thanks for listening to me and making the appointments comfortable and expedient. I was always greeted with a smile and "how are you doing today?" It is the small things that really made a difference. Having you part of my care meant the world to me. And for my doctor ~ Thanks for helping me grow 4 beautiful and HEALTHY babies! I never expected to be on this journey, but with your help and guidance I always felt confident in the arrival of my children. I knew that with your knowledge and experience I would be able to keep the babies cookin' and make it to the end. I wasn't always happy with my restrictions, but I know you were doing what was in the best interest of getting my family here safely. And really, I would have never learned how to crochet if you didn't put me on bedrest. Thank you for listening to me at appointments, providing me with all the facts, and helping me make the best decisions. You are an amazing doctor with a talent for keeping people going when it seemed like it might come to an end. I will always remember your last visit at the hospital, how you celebrated with me the birth of the girls to make my family 6 and the excitement you showed at my last appointment. I feel very lucky that I had you as my doctor. There is no doubt in my mind that I landed in your office by chance. It was your gifted hand that we needed to make it through this ride. I forever will be grateful for the outstanding care that you gave me and my babies. You are truly an extraordinary doctor! Even though I didn't mention names, I know you all know who you are. I am sending a huge thank you and hug to the team. Keep doing what you do. Hopefully this will be a reminder that you do make a difference.